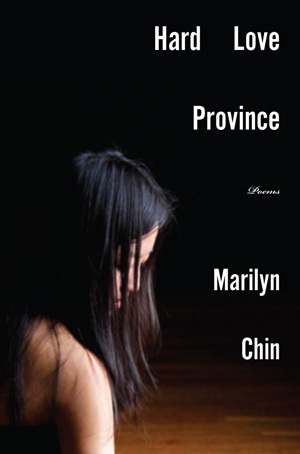 To continue with poetry engaged with questions of race, I present to you Marilyn Chin, a wonderful poet, novelist, and voice for justice. She is the winner of the prestigious Anisfield-Wolf Book Award for Poetry, a national prize for literature that confronts racism and examines diversity, which includes Martin Luther King, Jr., Malcolm X, Alex Haley, Junot Díaz and Toni Morrison among its winners. I went looking for her work because I remember this poem, “How I Got That Name” from a class, or a listserve, or something in my past. Once you read this poem, you never forget it. You can read it at http://www.poets.org with her biography. You can also find her at the Poetry Foundation, with another of her amazing poems, the astounding (visually and auditory) “Brown Girl Manifesto (Too)” — that one you have to read out loud. Here’s one blogger’s analysis of it, and whether it’s racist against white people! You really have to read this poem several times to catch all the references. Succumb to the low-lying succubus do! Chin’s voice is wide-ranging, rhythmic, musical, self-deprecating, funny, exploratory and absolutely poke-you-with-a-stick unforgiving. I hope you like it as much as I do.